One of our resolutions as a couple was to make more healthy choices and incorporate more vegetables into our diet. So far it’s going great! This week we tried all sorts of new things that we don’t typically eat on a weekly basis and ate very few grains. Our breakfasts consisted of lots of avocados, eggs, peppers, yogurt and fruit smoothies. I made a great Brussels sprouts Caesar salad, a sweet potato and sausage hash with fried eggs, and beef and lentil lettuce wraps. We usually just eat leftovers for lunch so it works out great! 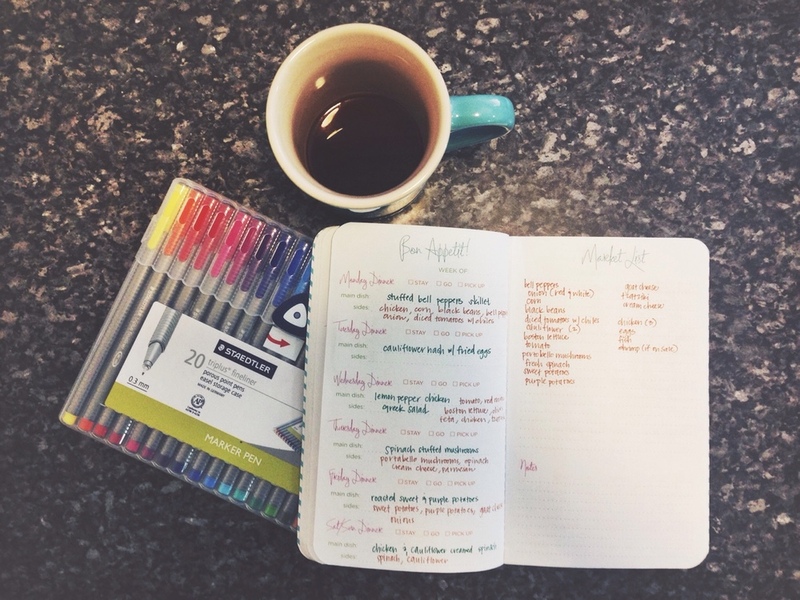 This morning I sat down and made our meal plan and shopping list for the next two weeks. The week to come will have a few grains like rice and couscous because we are trying to use up what we have in the pantry until we get paid again (thanks to the holidays we are going three weeks on the same check instead of two and to be honest it’s a bit of a stretch). I usually pin things on Pinterest and then actually look back or search through my existing pins for things that seem appealing and healthy. Once I pick out something that looks good I re-pin it to a private board I have called “this week’s menu”. It helps me save just the recipes I need for easy access during the week when I get ready to cook. Once we eat it I delete the pin from that board. 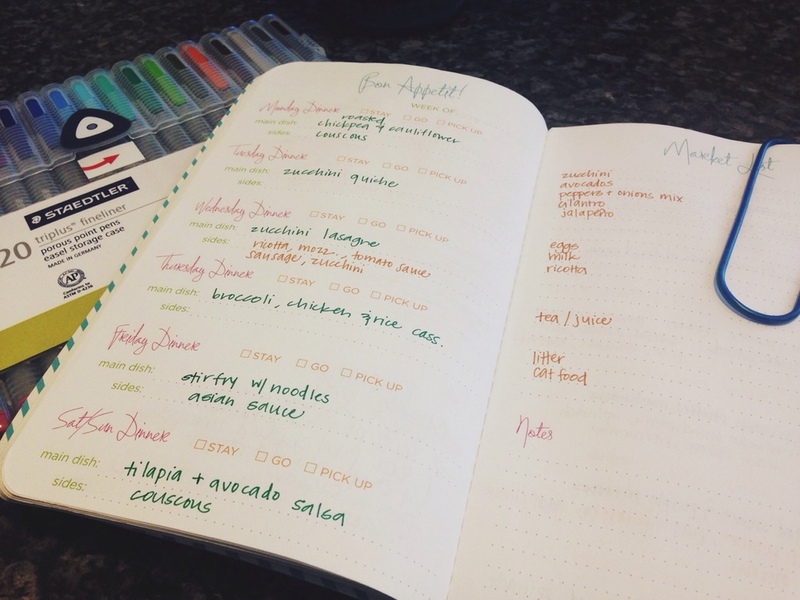 I use my meal planning book from May Designs to keep track of the recipe name and our shopping list. It may not be the best system for everyone but it works for me.